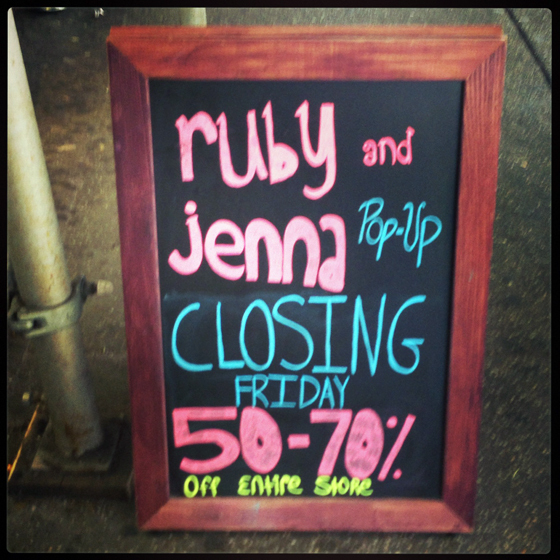 Fashion Herald: Ruby and Jenna Pop-Up: Last Day is Tomorrow! 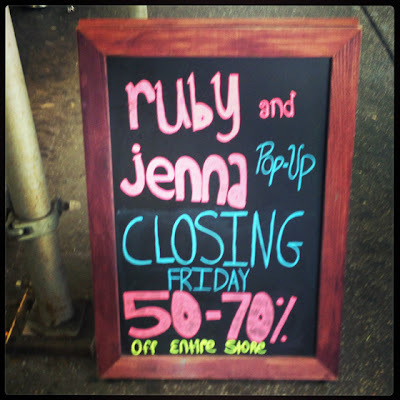 Try to get to the ruby and jenna pop-up today or tomorrow, because tomorrow is their last day at 1293 Broadway, and everything is 40%-70% off! Sad to see them go, but perhaps they'll return to 34th Street someday? Their trendy, junior-skewing merchandise is a perfect fit for 34th Street.